The Palace of Fine Arts is located at 3601 Lyon Street of the Panama-Pacific International Exhibition in San Francisco, California and was completed in 1915. This building was designed by Bernard Maybeck and stands 160 feet tall. The Palace was only on of two structures left from the 1915 Exposition, the other was the Japanese Tea House. All other structures were demolished. 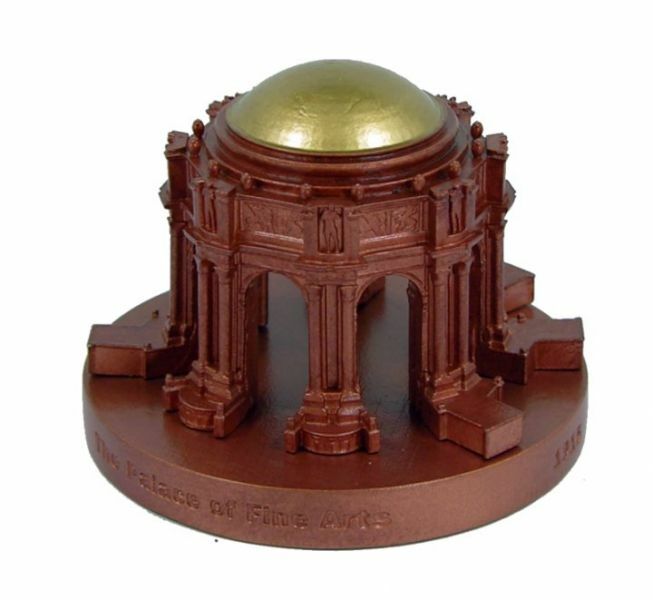 This pewter replica stands 2.5" tall and is finished in antique copper with gold highlights. For more pics and info check out our blog. This looks like a Grand tour collectible. I own about 5 such items and display this with them because it looks so nice. Great attention to detail, however, minor gap of columns to base.